Why Are Paper Documents Less Secure Than Digital Records? Why Are Paper Documents Less Secure Than Digital Records? Why Are Paper Documents Less Secure Than Digital Records? Learn why paper documents are less secure than digital records. With data breaches of major companies occurring more and more frequently, it’s easy to fall into the false belief that paper documents are more secure than your digital records. In fact, digital records are far more secure than paper and at Micro Records, we highly recommend transferring your documents to electronic versions to ensure their full security. 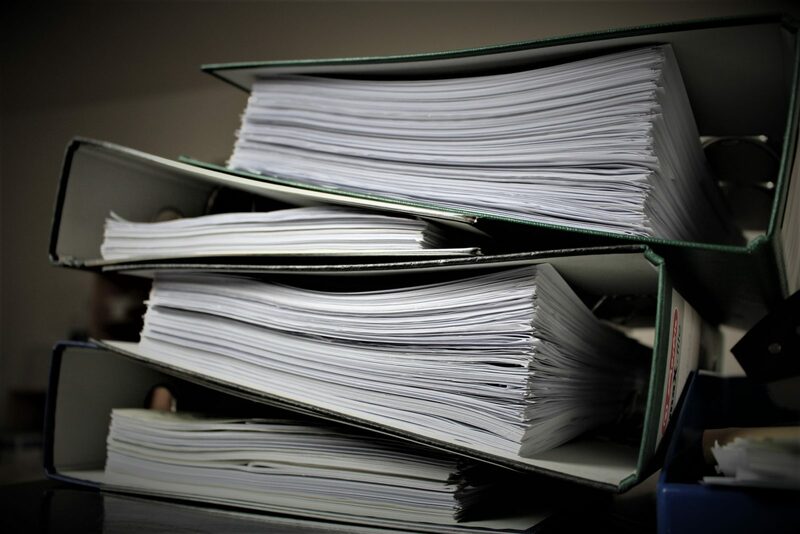 Paper records should still be kept, but their physical security should take high priority as physical items are much easier to steal than electronic ones. If the sensitive documents you are using are part of a common system having paper files can mean that employees will need to access them several times a day. This means that your paperwork will see significant traffic and will need to be stored in common, easy to access areas. Not only does this mean there will be access that you can not track, but that your information will be easily accessible to all kinds of people who may or may not be allowed to access it. Not only are paper records easy to access, but you can never be sure who is accessing the files and for what reason. If a paper file goes missing there is no way to know if it was stolen or simply misplaced. There’s also no way to track what’s gone unless it’s quickly noticed. With paper files, it is very easy for information to accidentally wind up in the trash and then your original data is gone and you may not notice until it’s too late. With electronic files on a shared system, it’s possible to eliminate the risk of unintentional data loss while also keeping passive tabs on who is viewing information. This means that you’ll never have to worry about not knowing who has been interacting with what. If you need help making sure your documents are protected, you can trust the team at Micro Records. Due to our companies outstanding 2017 sales, Digitech Systems has selected Micro Records Company as A 2018 Gold Star Partner! Located in Baltimore, MD, Micro Records can help your business transition to a paperless way of life with quality e-forms and technology. For more information about how we can help your business utilize proactive monitoring, transition to doing things digitally, get rid of sensitive documents securely or benefit from new technology solutions, visit us online or give us a call at (877) 410-SCAN. For more tips on transitioning your business to paperless technology and going green, follow us on Facebook, Twitter, LinkedIn, Google+, YouTube, and Flickr. This entry was posted on Friday, May 4th, 2018 at 3:58 pm. Both comments and pings are currently closed.